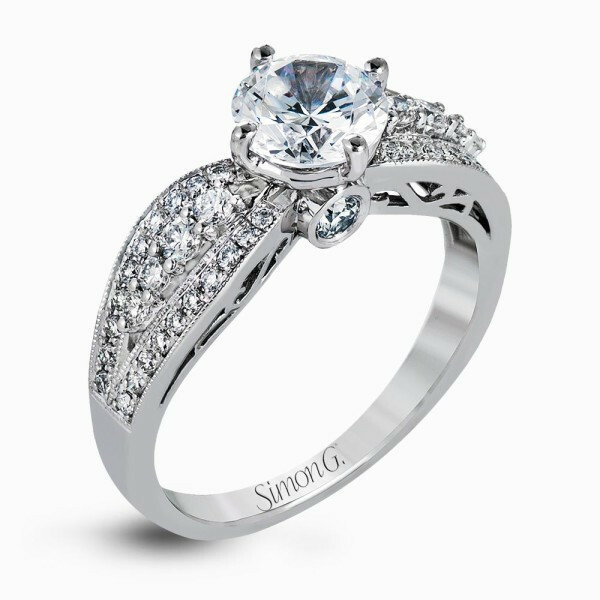 This Simon G. engagement ring setting is part of the designer's Caviar collection. 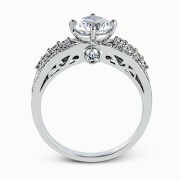 It's exclusive look comes from it's 18kt white gold fashioning that is modern and marvelous! Four prongs await your center stone, to be highlighted by a three-row multi-dimensional diamond band. Eye-catching bezel-set diamonds add an unexpected touch to the outside. 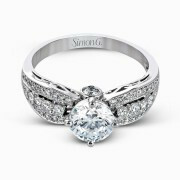 This engagement mounting from Simon G. is an eye-catching, elegant choice for today's women.